Anna is wonderful, caring, and really down to earth. She made me feel super comfortable as a first timer who gets nervous about literally everything...I wasn't nervous! Even the woman at the front desk (I believe her name is Alex) is amazing. The office and waiting room are lovely and very clean. I can't imagine going to anyone else. you are paying for much more than just a procedure. Would highly recommend. Dr. Anna Avaliani's office is warm and welcoming just like her; it is a relaxing, patient-centered environment. Her excellent treatment is supported by her gentleness and professionalism. When you leave her office, you feel like you have received the best of care. Love this place, it's clean, the staff are professional and their equipment is too notch. I have barely seen any hair re-growth and I've only had two sessions. Highly recommend! I trust Anna Avaliani MD with my face 100%. She knows exactly the type of procedure needed to correct your concerns. She will even turn down business if she feels it won't work. I struggle with melasma and have seen her only three times using pico laser and it's gone. I went to see Dr. Avaliani for Botox. I bought a voucher through Gilt City and was treated with the greatest care. Sometimes I find some of these places treat you slightly differently when they know you're coming with a voucher but not at Dr. Avaliani's office. The staff were sweet and courteous. I was greeted pleasantly and immediately upon arrival. I was seen within 10 minutes of arrival and had a great experience. Dr. Avaliani has the best bedside manner and did an amazing job with my Botox injections for my crow's feet. They completely disappeared within 2-3 weeks! And my face didn't look frozen or asymmetric. 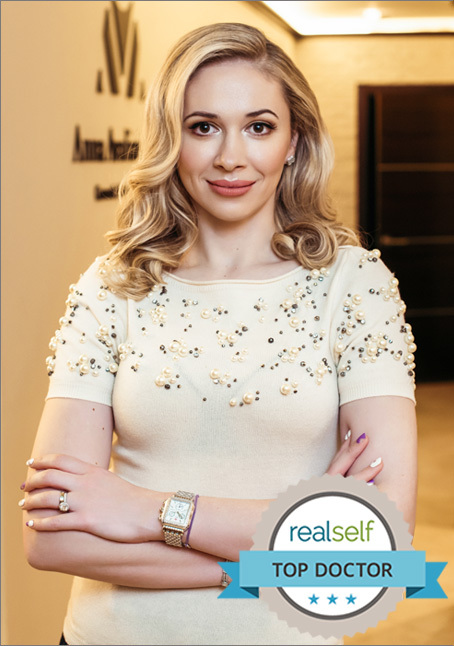 I've been looking for someone to go to regularly for Botox and other simple cosmetic procedures, using Gilt vouchers to find the right doctor, and I think I've found one: Dr. Avaliani. I will definitely be seeing her regularly from now on. She saved my life after a “botched lip job”. She is amazing. I was back to normal the next day. Could not be happier. I finally found a doctor that I love. Dr. Avaliani took her time during my consultation and answered all of my questions. I came in because I hated lines on my forehead and wanted to get a rid of lines on my lips. I was looking for natural results and did not want to look fake. Dr.A perfected that look for me!. It's hard to trust your face to someone, but as soon as I met Dr.Anna, I immediately felt comfortable and knew I was in the right hands. She was very kind, very informative and not pushy at all. She even discouraged me from doing extra procedures. Dr.Anna is incredible! She makes getting Botox fun and does not oversell you anything. I love my results and so happy that after many years of trying different doctors, I found a true expert that I love, trust and will follow anywhere. I have never met more caring and personable physician than Dr. Avaliani. She really knows her stuff, explains it very well, and delivers phenomenal results. Highly recommend. Thank you very much. So glad I found her.